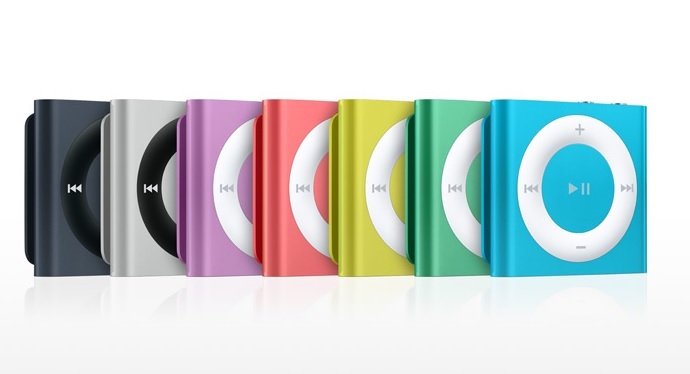 Apple is known for the creativity along with the simplicity, and the Apple iPod shuffle is a great device for listening to your favourite content when you’re on the move, especially if you need a constant news fix on your daily commute/exercise routine or are a trivia fanatic. The iPod Shuffle comes with no screen and just the controls, but the simplicity makes it a better choice than others, as you get the direct buttons for whatever option you wanted. We’ve rounded up a list of five podcasts from different genres that should make your next shuffle session a fun one. If you love quirky facts, then this weekly podcast might be just up your street. It combines a quiz show with offbeat news nuggets to deliver some truly fascinating insights. You’ll learn what actually lies under Disney World, answer questions on the most iconic movie chase scene scores and guess famous literary author pseudonyms. TED Talks is an online space where specialists from different fields deliver inspiring talks to a global audience. You’ll hear from experts in diverse fields including technology, business, entertainment, non-profit etc. Past speakers have included Steve Jobs, Richard Dawkins and Hillary Clinton. Here’s a great podcast for history buffs. You’ll find short, well scripted pieces about memorable figures and events in history. Host Nate DiMeo has a warm, personable presenting style that will draw you in to any subject from the origins of lifts to the development of the atomic bomb. BBC Radio 6 Breakfast Show host Shaun Keaveny hosts an engaging chat show with guest appearances from friends in show biz. You’ll also get a chance to listen to some great up and coming music as well as get your fix of comic banter. If you’re looking for the latest developments in digital technology, a quick listen to TWiT.TV should bring you up to speed. It features current news and commentary from experts and journalists and covers a vast spectrum of content from how-to guides to expert perspectives on the latest trends in the tech world. For a good introduction, try the hugely popular flagship show This Week in TV, hosted by award winning journalist Leo Laporte. Of course there’s a lot more podcasts and music albums you can listen to and pass your time, but these five above mentioned ones are worth downloading and listening to, if you are someone who plugs the iPod on for hours and hours and keep listening to music, and need just more than the regular stuff.